The app markets seems like dedicated mostly to adults and teenagers, but on the other hand if we observe these are even rapidly developing into an awesome place for children with a choice of applications and diversions that oblige youthful personalities alongside with equipment particularly designed for children. In this survey, we will uncover around an application, Kids ABC Learning & Tracing. What is Kids ABC Learning & Tracing? Kids ABC Learning & Tracing is an educational app for toddlers, preschool and kindergarten age kids. Children will learn everything about ABC alphabet, including alphabet pronunciations, learning alphabet and tracing ABC worksheets. Whether your kid is in kindergarten, or going to attend preschool, this is a suitable game for your child. Kids ABC Learning & Tracing app will help the children, toddlers and kids will learn way for writing the alphabet letters while tracing letters on the board, with guidelines. In addition, the amazing part of this app is that you kid will learn writing both uppercase letters and lowercase letters. 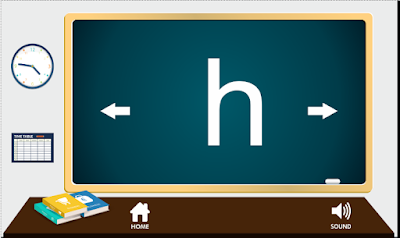 Now once your completed with the tracing exercises, the app has quiz base system where you kid has to identify the right alphabet between three given alphabets sipmply by taping over that alphabet, this will ensure you that either your kid is going in the right direction of if your kid needs little more practice. So what you are waiting for? Stop being worrying about your pre-schoolers, and download this app free on your android devices from the link given below.